Every e-commerce business owner knows that increasing conversions is important. But only 50% of e-commerce businesses track main conversion points. On top of that, 73% don’t track micro conversion goals — like newsletter sign-ups and account registrations. And that’s a problem. After all, if you don’t track conversions and analyze user behavior on your site, you’ll have no way of knowing how to boost conversions. Don’t leave your conversion rates up to guesswork. Because the truth is, you don’t need a massive marketing budget or tons of technical knowledge to improve your conversion rates. You just need a clear strategy and the right tools. Let’s talk about exactly what you can do to increase conversions, starting with one of the most important methods. This is important because, once you understand how visitors behave on your site, you can tweak your site strategically based on those behaviors.And this doesn’t have to be a complicated process — you just need to use the right tool, for example, Hotjar. 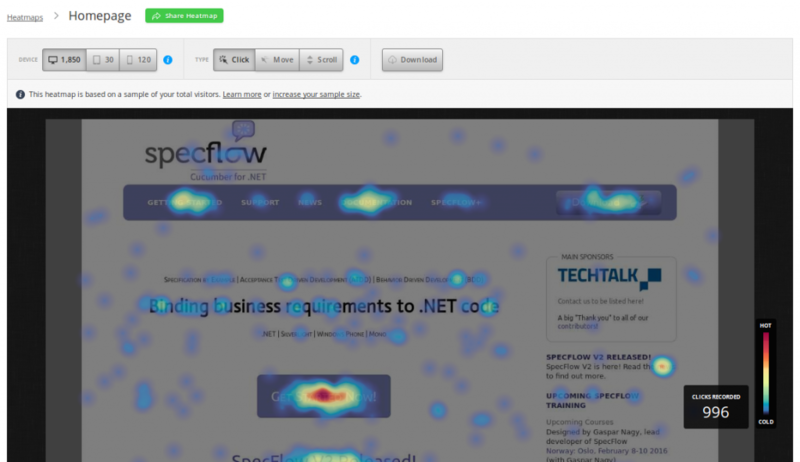 Hotjar provides you with a heat map that lets you see exactly where your visitors click, move, and scroll to your website. Imagine one of your e-commerce product pages isn’t converting as well as you’d like. You’ve tried thinking of ways to improve it, but you aren’t sure where to start. Whether or not visitors notice important details, like free shipping offers, security badges, and Buy buttons. Knowing this information, you’d be well-equipped to change your site in a way that would turn leads into customers. Large assortment can’t be a bad thing… Or can it? A wide variety of options on the product page can be the reason for fewer conversions. 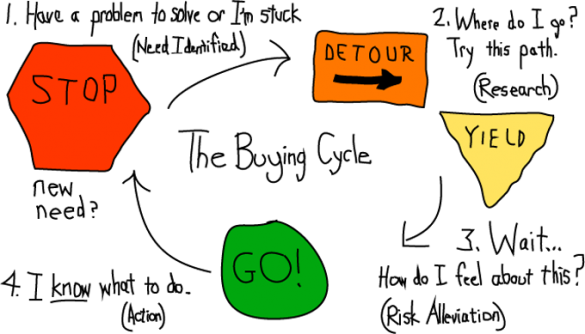 People get distracted and overwhelmed by many choices they have to make. Say you sell a dress in several color variations. There are at least two ways you can put them in your Ecwid storefront. There are only three dresses in our example; if you have more product options, it can be even harder for your customer to decide. 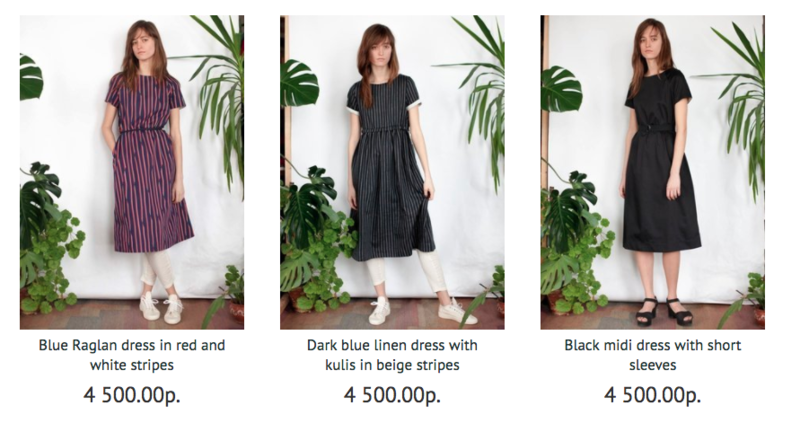 Another way — and that’s what Usta k Ustam did in their Ecwid store — is to create separate product pages for each variation. First, it’s easier to decide on the dress if you see all of them in a row. Second, when a customer finds themselves on the product page of the dress they preferred, nothing stops them from adding it to bag. That is not a universal truth. If you have a lot of products with numerous options, it makes sense to organize them on product pages. If your product options are about a simple choice (for example, a yes/no question, wrapping color), they’ll work fine. The main idea is to browse your storefront in customer shoes and reveal every possible reason for hesitation. Sometimes it’s not the lack of something but, on the contrary, too much of everything. Learn how Product Options can make checkout faster. If you know what shoppers are looking for on your site, you can make sure it’s easy for them to find exactly what they want. Connect Google Analytics to your Ecwid store. In your GA account, go to Site Content → All Pages. Type in /search in the search field and press Enter. You’ll get a list of links that contained a search term. Once you do this, you’ll be able to see all of the keywords people are using when they search on your site. Who knows — you might just find shoppers using keywords that are totally different from the ones you use to describe your products. In that case, you could change your descriptions to match customer searches. And just like that, you’d get far more eyes on your products — and chances are, more sales too. On the flipside, if you don’t use site search data to your advantage, you could miss out on a lot of sales. Seriously, site search users can make up as much as 13.8% of your store’s revenue. So, make sure your store doesn’t fall into the 33% of websites that don’t track site search keywords! In other words, people are heavily influenced by the actions of others. How is this relevant to your e-commerce business? Well, it means you can use social proof strategically to boost conversion rates. One of the best ways to do this is to use online reviews. Research shows that 61% of customers read online reviews before making a purchase. On top of that, 63% of customers are more likely to make a purchase from a site with user reviews, and 50 or more product reviews can translate to a 4.6% conversion rate increase. As you can see from this data, you need reviews if you want to maximize conversions. Preferably lots of reviews. But how can you get a high quantity of solid reviews — even if you’re just starting out? First, you’ll want to make sure the review-leaving process is obvious and clear on your site. 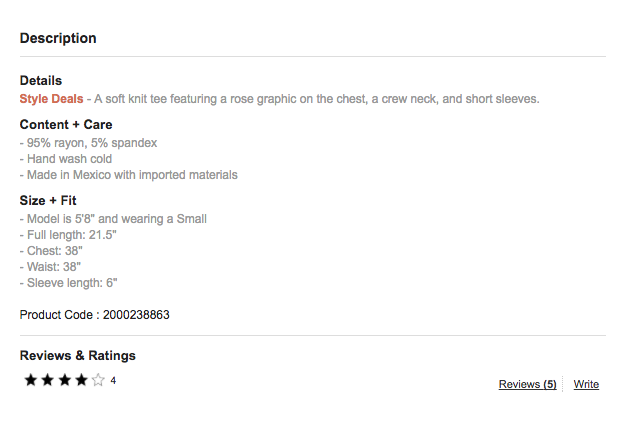 Clothing retailer Forever 21 includes a Reviews & Ratings section at the bottom of their product description, with a clear Write option. 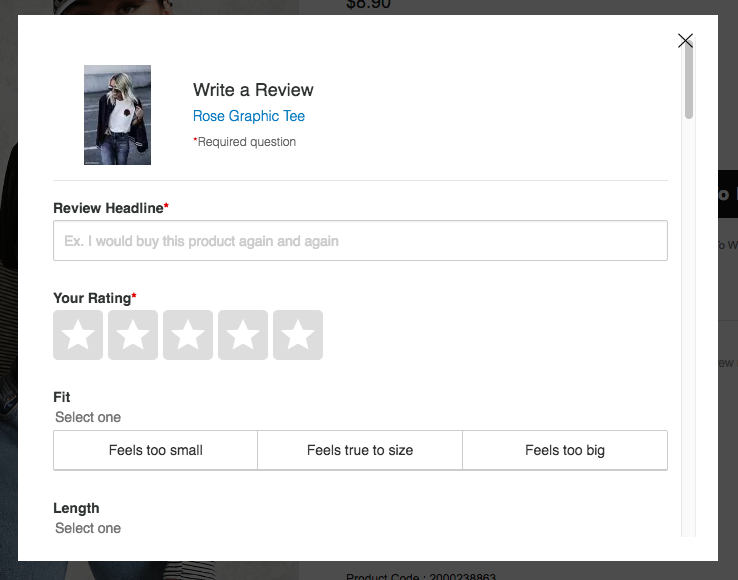 When the customer clicks the Write button, a box pops up so they can easily create and submit a review. Learn from this example, and make sure your review-leaving process is intuitive — you don’t want willing users to drop out of the process just because it was too confusing. 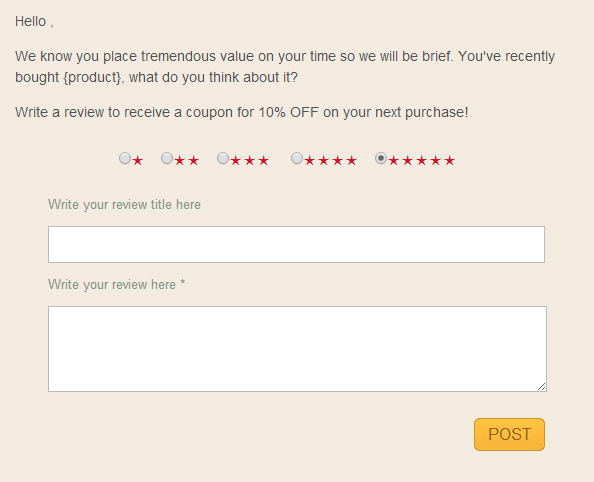 Another effective way to get reviews is to send a post-purchase review request email. This approach works especially well because of the 10% off incentive they’ve offered to customers who are willing to leave a review. But reviews aren’t the only form of social proof you can benefit from; there’s another effective way e-commerce store owners can use social proof to boost conversions: use Fomo (starting at $19 /month) to turn your website into the equivalent of a busy store. Fomo harnesses the power of social proof by notifying shoppers of key behaviors happening on your website, like email sign-ups and product purchases. The notification shows up at the bottom of the screen as a small, non-intrusive pop-up box. When shoppers see that your products are flying off the virtual shelves, they’ll be inspired to take action quickly. Imagine you’re shopping online for shoes. But you have a question that needs answering before you can make a purchase. Would you be more likely to buy if you could get the answer to your question fast via a live chat feature? Of course, you would. By talking to someone via live chat, you’d be able to get the information you needed to make a purchasing decision. Your customers think the same way. According to Forrester Research, 44% of customers say that having questions answered by a live person while in the middle of an online purchase is one of the most important features a website can offer. On top of that, visitors invited to chat are 6.3 times more likely to convert into customers than ones who don’t chat. If you’re interested in trying out live chat on your site, consider using Facebook Chat (free) or Tidio ($15+ /month). 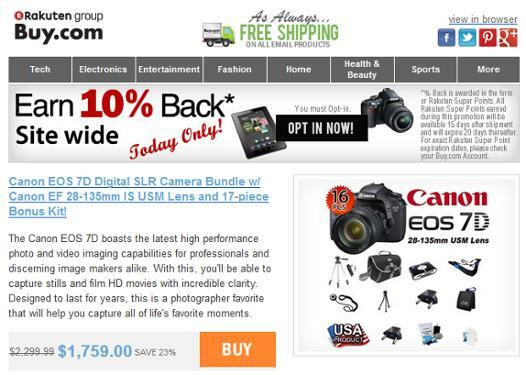 Say you have a customer who leaves your site before purchasing an item they added to their cart. Intercom can recognize such behavior and send the customer a targeted chat message to find out why they abandoned their cart. And once you learn why shoppers are abandoning their cart, you can change your checkout process in a way that will improve conversion rates. Have you ever come close to buying a product online, only to find yourself leaving the site empty-handed? Maybe you even thought about going back later to buy it, but you never got around to it. This isn’t an uncommon situation for online e-сommerce store customers — in fact, average cart abandonment rates are at 65.23%. So, what can you do to push those on-the-fence buyers to follow through with their first purchase on your site? Try using a pop-up to offer a discount to first-time buyers. 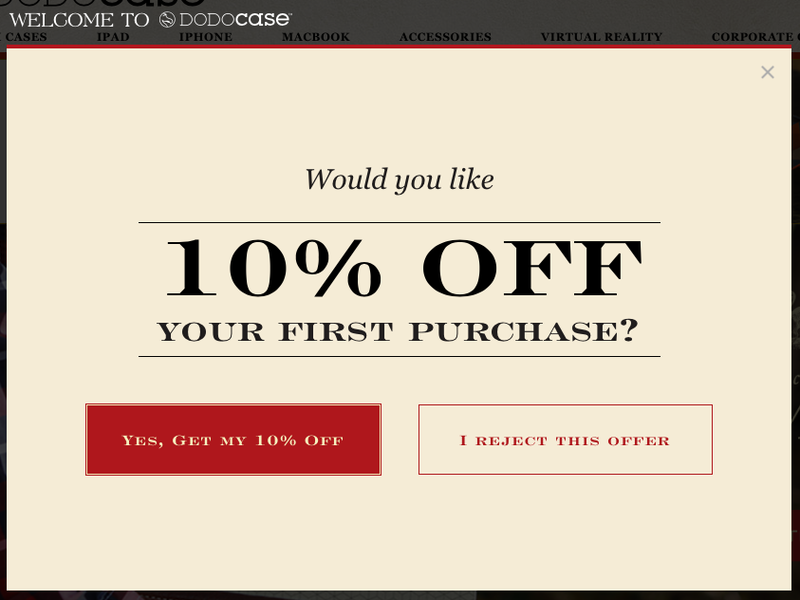 For example, you could offer shoppers 10% off their first purchase in exchange for joining your email list. Another way to boost your conversions using pop-ups? Use an exit-intent pop-up, which is a pop-up that triggers when a customer is about to leave your site. 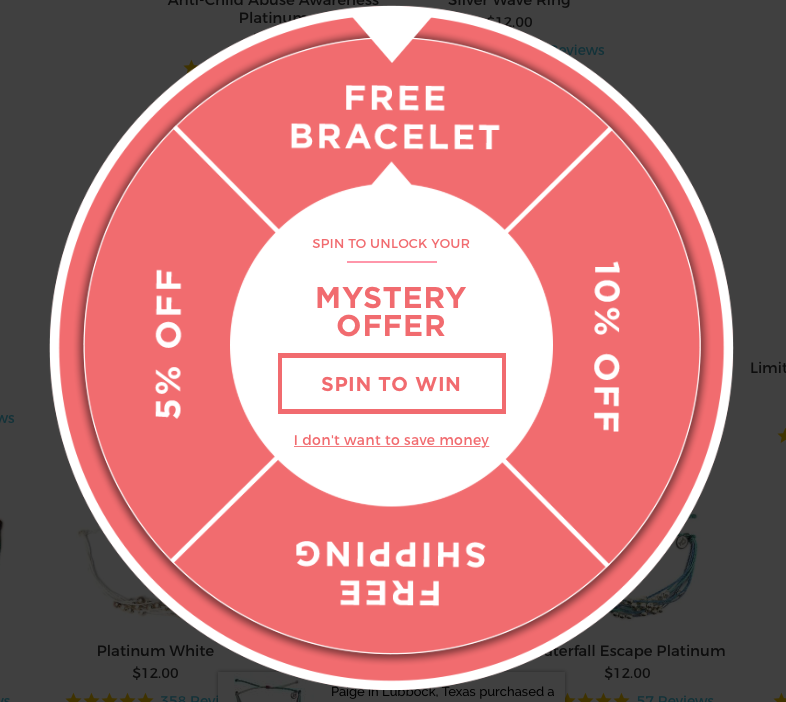 These pop-ups are perfect for turning lukewarm shoppers into loyal customers. In fact, data shows that 10 to 15 percent of lost visitors can be saved with exit-intent pop-ups. 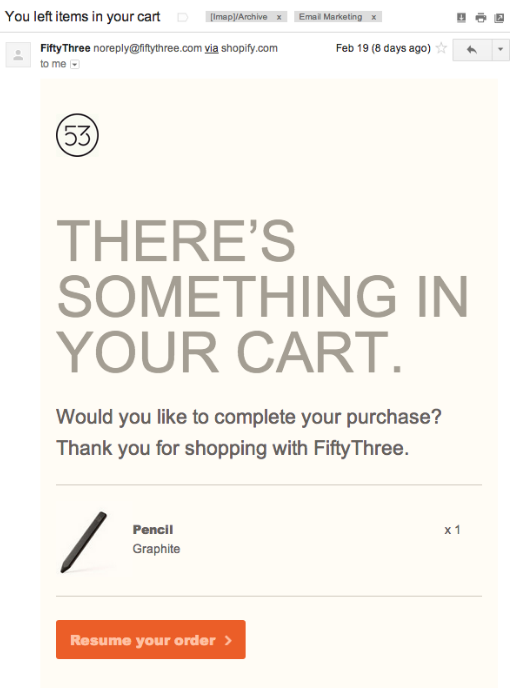 Try offering visitors an incentive to complete their order (like a percentage off their purchase or free shipping) in your exit-intent pop-up, and watch as cart abandonment decreases! Now, you might be thinking: What about the customers who don’t convert immediately after claiming their discount? Don’t give up on them — you can convert them down the road using email marketing. Have a plan in place for how to nurture your leads via email, and you’ll be well on your way to improving your sales. If your idea of email marketing is sending out general newsletters every once in a while, you’re missing out on a major opportunity. I’m talking about sending behavioral emails — in other words, emails that trigger based on certain user behaviors. Because these emails are tailored to each user’s experience, the user is much more likely to respond positively. They’ll get something specifically relevant to them — not just a general offer that they may or may not be interested in. 44.1% of all cart abandonment emails are opened. 11.6% of cart abandonment emails are clicked. 29.9% of clicks lead to a recovered purchase on the site. As you can see, cart abandonment emails are powerful. And when done right, they can have a huge effect on your sales. Or, if you want to make your emails extra effective, you can include an incentive. Want to use email marketing to upsell happy customers? Enable abandoned carts recovery emails within your Ecwid dashboard to increase first-time sales, and consider a marketing automation app like Convead to further upsell customers related products with follow-up emails after they make a purchase. 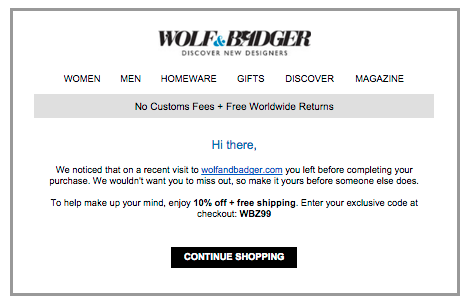 This email lets customers know that you have even more products they’d love. For instance, if you sell add-on items to enhance your existing products, you can encourage previous customers to check them out. This email does it all: it offers discounts, creates urgency, and displays a variety of add-ons and similar products to attract more purchases. These email marketing methods are crucial for both the short and long term. So if you’re not using them already, now is the time to start. All of the conversion-boosting methods in this post revolve around one main course of action: optimizing the customer experience based the way your audience thinks and acts. But don’t feel like you have to implement every strategy at once. If you need to, start small and work your way up as you learn more about your shoppers’ behavior. Then, as your budget and audience knowledge grows, you can invest more time and money into tailoring your website and marketing efforts. Because even a small step forward could mean a major improvement in your sales. Ryan is the founder of Fomo, a social proof marketing platform with over 4,000 paying customers. Previously, Ryan worked in venture capital and ran growth at several YCombinator / Techstars alumni companies.